We are living in a time of massive and rapid change on a collective level and for most of us, also on a personal level. In a world going mad how do we remain in our center, in our Heart? When confronted with our own and other’s fears, how can we choose the path of Love and Radical Trust? Instead of blaming other people or circumstances, how can we look inside and take personal responsibility for all that is being mirrored to us from the outside? How do we transform our difficulties into the fuel of greater awakening? Challenging questions for challenging times. In searching for answers, the practice of Yoga invites us turninside and take rest in the Heart. To make space for all of our feelings and emotions with utmost compassion for ourselves. To cultivatecourage and willingness to expand our current understanding of ourselves, others, and life itself. To trust the Mystery that is unravellingexactly as it should. 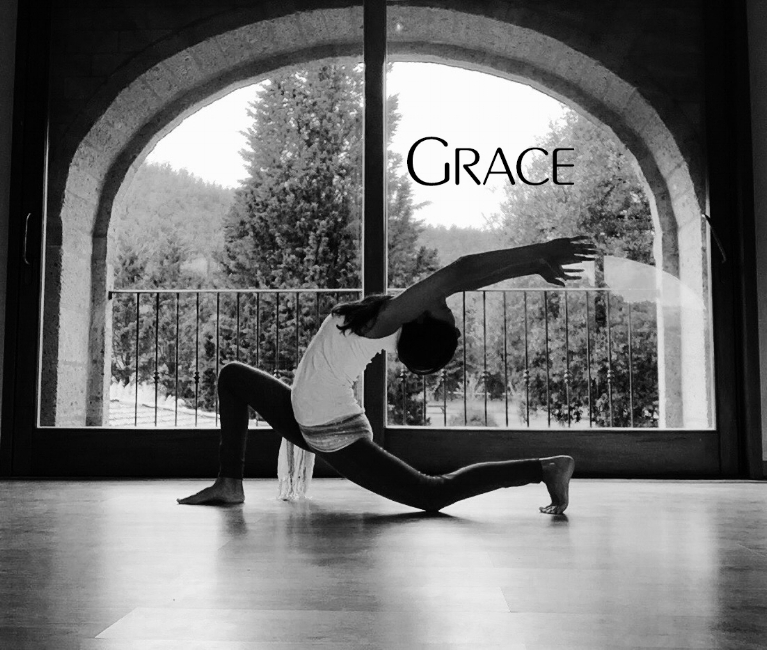 I invite you to join me in this workshop to explore various yogic practices that can support us to cultivate the qualities of grace and grit in our every day life. We will practice yoga asana, pranayama, mudra, and meditation and the class will finish with a deeply rejuvenating savasana accompanied by a crystal bowl sound bath. Prior experience with yoga is ideal but not required. More important than your physical level of practice is your desire to do deep inner work and your willingness to listen and respect your body in the present moment. If you are not sure if this if for you or you have any questions, please feel free to contact me. I look forward to sharing this time with you and co-creating a transformational and healing process together. Sheila Chacko has been practicing yoga for nearly 20 years and has trained with teachers in various disciplines of yoga and spirituality. Her style of teaching is based on her recognition of the innate genius of the human organism and focuses on learning to listen to the way our bodies, and ultimately our souls, speak to us through sensations and emotions. She teaches how to enter into dialogue with our bodies in a respectful way as the doorway into opening our hearts and expanding our consciousness. Sheila has a passion for working with women and guides individuals and groups on the path of feminine spirituality. For more information about her teaching style, experience, and training please see her website. (i.e. those without the "Unlimited Daily Yoga & Duration" membership). You can purchase this pass from the list of passes on the "Prices page". All members have received an e-mail with the link to purchase the workshop at the reduced rate. N.B. This reduced pass is not available on the website. All NEW Members please contact me for the link.